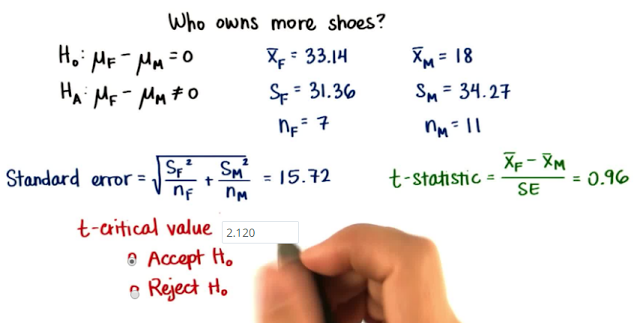 In this quiz, we want to study : Who has more shoes - males or females? 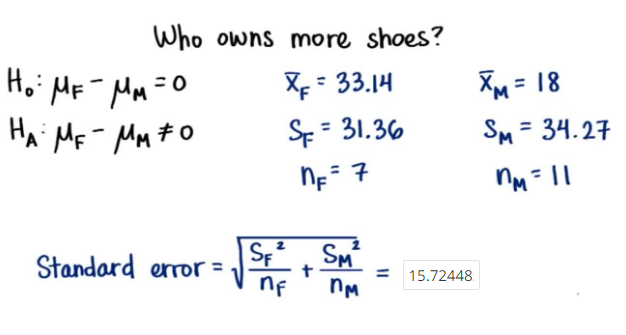 Firstly, we set a null hypothesis that : Males and Femals have the same number of shoes. 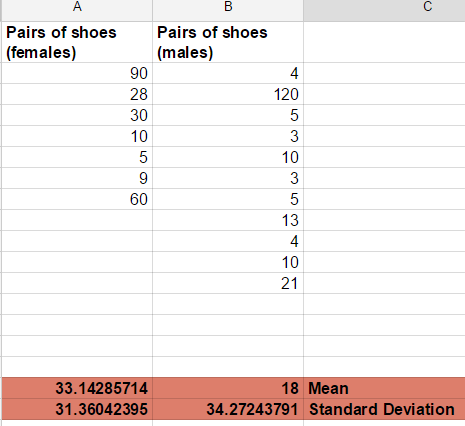 So, alternative hypothesis is Males and Femals have not the same number of shoes. To check our hypothesis is true or false, we test in this data. We calculate avarage and SD (Standard Deviation) of two groups. Because , we select alpha = 0.05 and calculate in 2- dimensional (males-females), alpha must be divided 2 and results is 0.025. 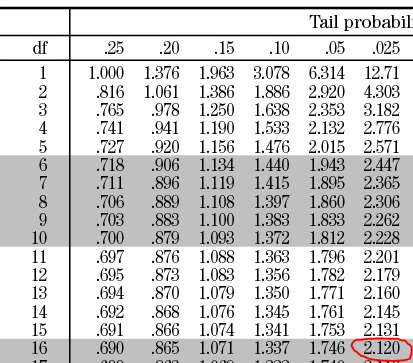 So select column and row have alpha = 0.025 and df = 16, we have t-critical = 2.120. We have -2.120 < t-statistic = 0.96 < 2.120. So, we accept null hypothesis . 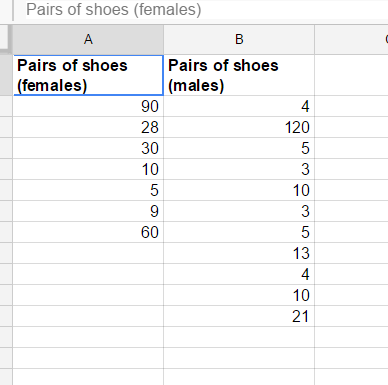 So, we can conclude that the number of shoes of males and females are same (least in Udacity company). 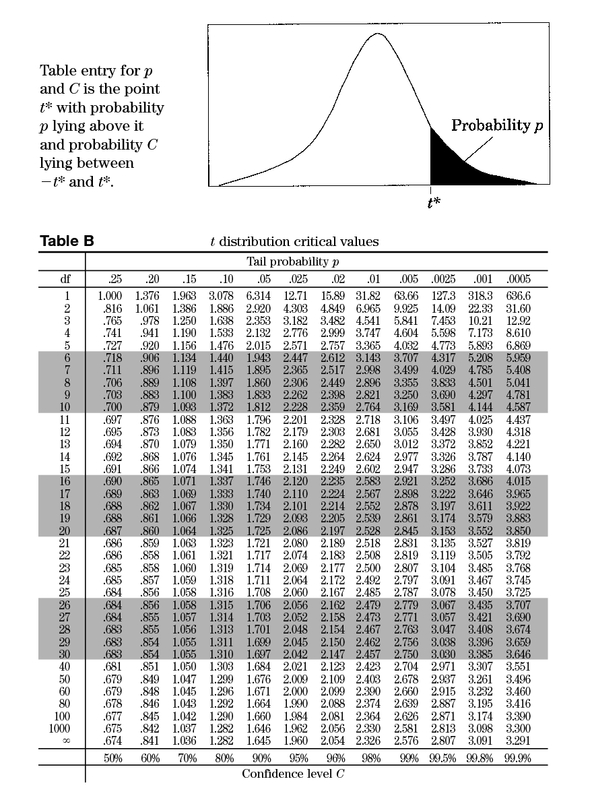 This is briefly way to check a hypothesis base on t-test and sample data.